Note: The National Gallery temporarily closed after 13 January 2019. The new National Museum opens in 2020. To secure a safe moving process the National Gallery has to be temporarily closed, as it's unsafe to combine with normal operations. Older and modern art is on show at the Nasjonalgalleriet (National Gallery) in Oslo. The main emphasis of the collection is on Norwegian painting and sculpture from the 19th century. The museum also holds an extensive collection of drawings and prints by Norwegian and international artists. Highlights of the collection include major works by Edvard Munch, including The Scream. Other important artists include J.C. Dahl, Adolph Tidemand, Hans Gude, Harriet Backer and Christian Krohg. 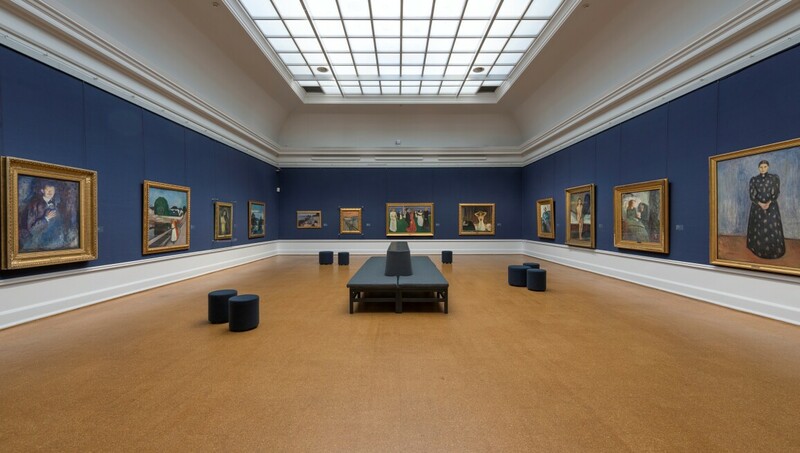 The collections from the 20th century illustrate the development of Norwegian fine art with reference to key works of Nordic and international art in the fields of painting, sculpture, photography, video and other media. Central to the collection of international contemporary art is Ilya Kabakov's permanent installation The Man Who Never Threw Anything Away (1988–1995).